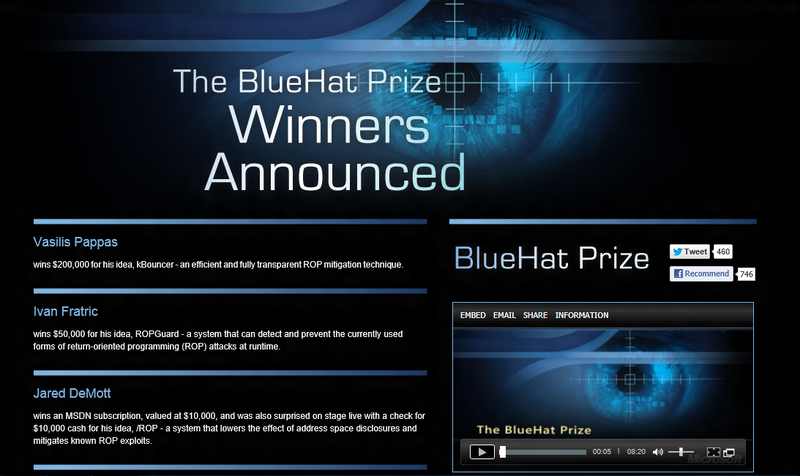 Earlier in last year software giant Microsoft started Blue Hat security contest. BlueHat Prize was globally announced by the company at the 2011 Black Hat security conference in Las Vegas, offers a grand prize of $200,000, a runner-up purse of $50,000, and a third-place award of a one-year subscription to MSDN Universal--a developer's platform for Microsoft products--worth $10,000--to security researchers who design the most effective ways to prevent the use of memory safety vulnerabilities. This year Microsoft awarded a bunch of hackers and gave away an amount of $260,000. 'Hackers' in the good sense here, the clever programmers who won its Blue Hat security contest, including a grand prize of $200,000. 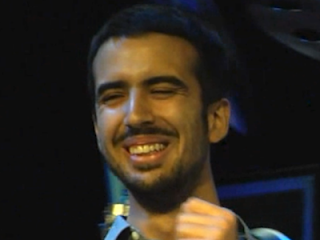 The big prize was awarded to a PhD student at Columbia University, Vasilis Pappas, who was handed the check in an American Idol-style contest finale complete with loud music and confetti. The winners were announced during a party at the Black Hat hackers conference 2012 that just happened this week in Las Vegas. Two other guys took home significant prizes, too. Ivan Fratric, a researcher at the University of Zagreb in Croatia, got $50,000 and Jared DeMott, a Security Researcher for Harris Corp. won $10,000. They all submitted ideas to help solve a really hard security problem called Return-Oriented Programming. ROP is a hacker technique that is often used to disable or circumvent a program's computer security controls. Twenty people submitted ideas in the contest. Without getting into too much technical detail, Pappas came up with something called kBouncer which blocks anything that looks like an ROP attack from running. It's become popular these days to pay security researchers bounties. But what's cool about the Blue Hat contest is that it paid the researcher for actually coming up with a fix to a problem. Not only Microsoft, other compaines- Google, Facebook, Paypal & many more already have their "Bug Bounty" program, where they reward researchers for simply identifying flaws in thier system. But by contrast Microsoft and Adobe don't pay bounties. Here Microsoft promised that this first Blue Hat prize won't be its last, So this may be a sign of a smart new approach to engaging with security researchers for the software giant.